Fine workmanship, creativity and excellent finishing reflect in our exquisite product range. Intense effort of our designer and craftsmenbrings out the best in every product. Our teams of highly creative designers are capable of designing perfect solutions and unique range of products which we offer at a very reasonable price. Our range of fruniture gives complete aesthetic look to the interiors of a home or any other structure. Our products are specially designed to suit the needs and preferences of clients. We are empowered by a strong team of designers and artisans who possess mastery in designing masterpieces showcasing the highest level of human excellence. Our designers work in close co-ordination with clients, in order to develop perfect solutions as per their exact requirements. M. B. 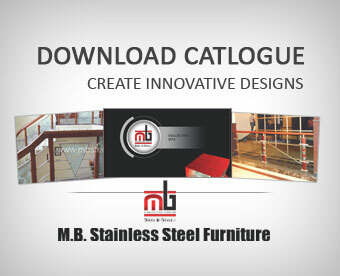 Stainless Steel Furniture is a manufacturer in stainless steel components. We have the latest in glass, wood and stainless steel designs to enhance your home, office, or any environment. If you are looking for ideas to furnish your living place or you office, you have reached the right place. We introduce you a wide range of home and office furniture's, solution to your architectural design. Today, we are associated with a long list of prestigious clients situated all over India and we strive to develop as well as maintain a never ending relationship with our esteemed clients. 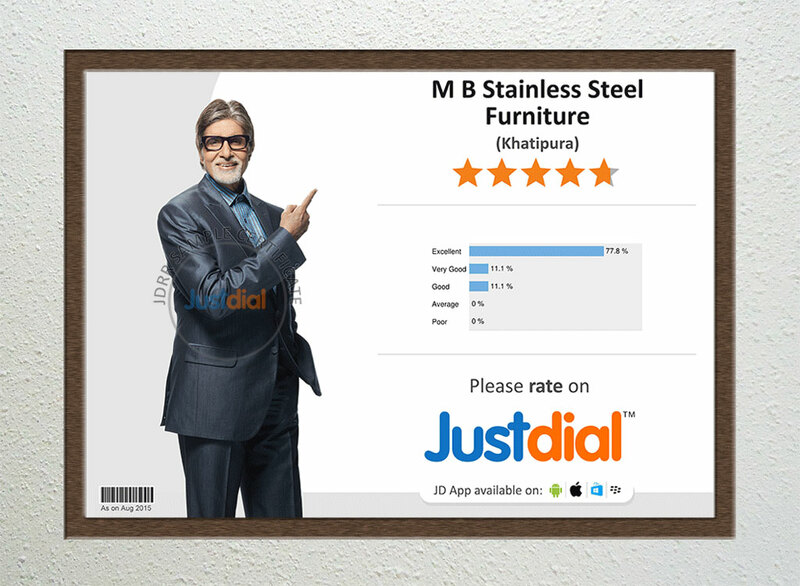 We are a globally renowned manufacturer and exporter of aesthetically pleasing stainless steel furniture, stainless steel railings, metal crafts, bathroom accessories, kitchen equipments, etc. We are a pool of innovative designers, creative artisans and experienced professionals, designing the most stimulating collection of metal ware for our prestigious clients. Our uncompromising attitude towards product innovation, client satisfaction and on-time delivery has helped us to earn the trust of innumerable clients spread at every corner of the globe. 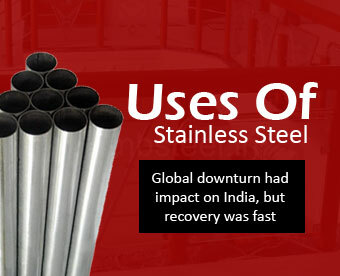 With our wealth of experience, we also provide customized fabrication of the stainless steel items.